Provamel is my favourite brand for almond and other nut-based drinks. I use them with my breakfast instead of milk, or to make chia seed pudding. Almond milk is great in smoothies and overnight oats too. 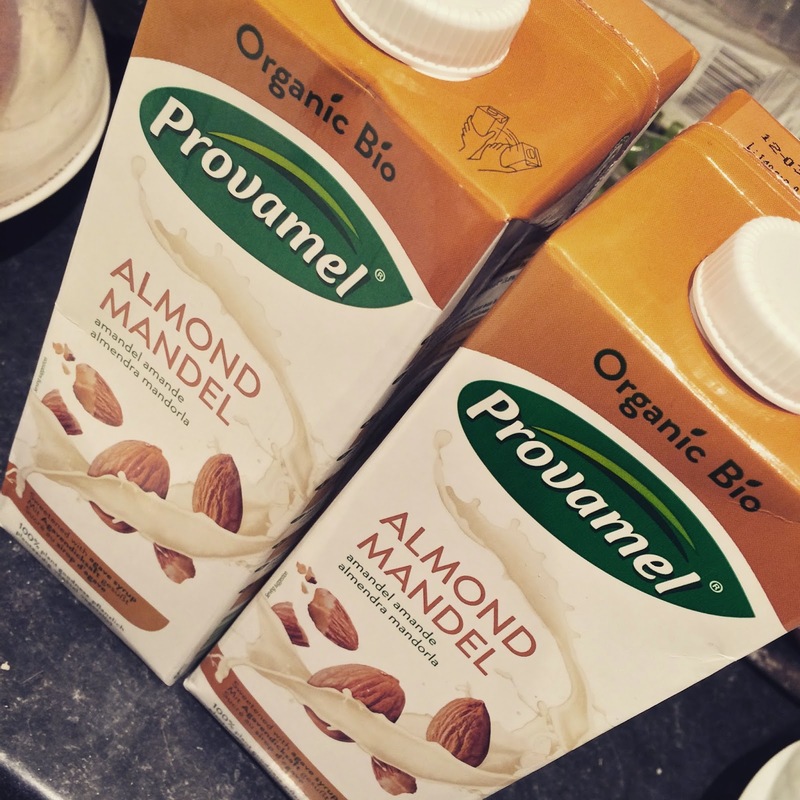 I love to use Provamel Almond Milk in coffee and tea as it doesn't separate like the Alpro one does. It's organic too as well as being ethically sourced which is always a plus. And obviously it's vegan! The Almond Milk comes in 2 varieties - Sweetened and Unsweetened. I go for the Sweetened one as Agave Syrup is used which is perfectly healthy. It makes it taste a lot better in my opinion. So, the Provamel milk has over 3 times more almonds than the Alpro milk. I much prefer the Provamel milk and it's definitely worth the price difference.